A fully integrated, user friendly court booking system which delivers a first-class service for the Royal Automobile Club. The Club has one of the largest squash memberships in the world. 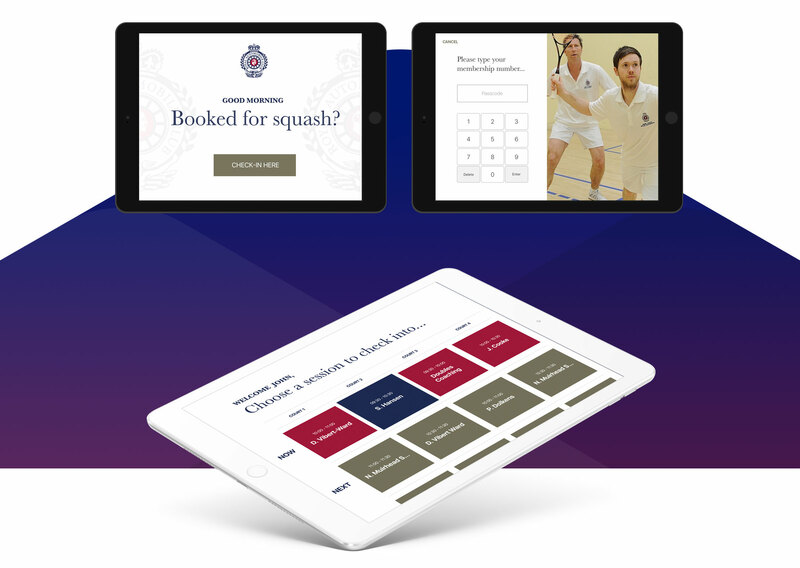 With only four courts at the prestigious Pall Mall clubhouse and 1,200 active squash members, providing a robust and customer friendly efficient court booking system is essential. 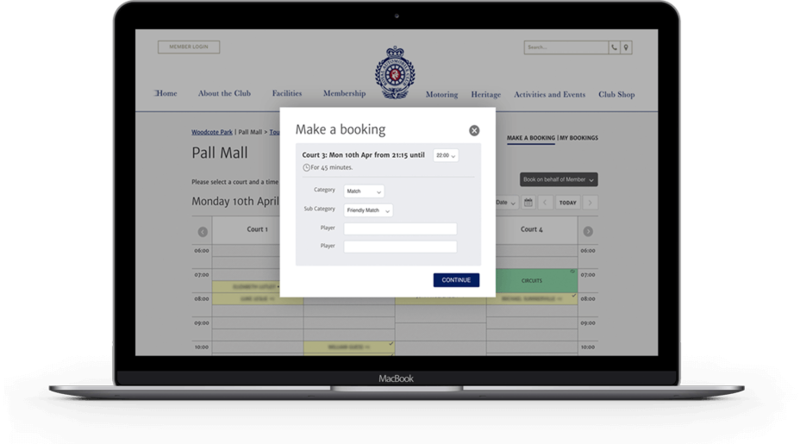 The booking system needed to integrate with the Club’s new website, recognise the member information and synchronise with the Concept Management System. It also needed to incorporate the Club’s complex court booking rules and most importantly needed to provide a customer friendly, easy to use solution for both members and staff. Being able to book, amend and cancel courts at either the Pall Mall or Woodcote Park clubhouses on a desktop, tablet or mobile quickly and easily was essential. ClubSpark delivered a fully flexible and responsive solution, incorporating the Club’s new brand for a seamless transition. The booking system incorporates the booking restrictions required during peak time slots, allows staff the ability to change the peak and off-peak booking slots themselves and handles the charging of fees relating to guests, cancellations and no shows. To relieve pressure at the reception desk during peak times, the ClubSpark check-in App was installed allowing members to find their booking, check-in and register their guests. This helped staff to track who was playing on which court when as well as providing a seamless user experience for the member. An iPad has also been set up in an enclosure near the courts to allow members to check-in when they arrive. They can also view court bookings for other members to see which other members are in the building. This kiosk instantly took pressure of the reception desk and relieved congestion in this area during peak periods. Finally, the display screens were installed near the courts making it easy to tell who is on which court when for the duration of the day. Members are able to book their court, check-in and register their guests quickly and easily. Guest payments, late cancellations and no show charges are fully automated providing greater efficiencies and saving time for staff. Court usage efficiency has improved and will do so further with the addition of an online waitlist, alerting members to new availability at their pre-selected time when courts are cancelled.